picochess is only the software you use. But as everywhere else there is an operating system below it. For picochess we used raspbian jessie. But Jessie is rather old and most important it has only a outdated C-compiler with its libs installed. The newest rodent III engine needs something called c++14 but thats only available on the successor of jessie called stretch. Thats the main reason i call this release stretch and also you need a complete new image and cant update picochess by itself. The easiest way is (if you havent done this before) is to download one image file from “picochess-images” (see last chapter) burn this to your sdcard and update from there. All you need to have is this new linux system below and the rest you can do with picochess by itself. Please make sure, you really have such stretch image installed before you update to v0.9j. If you have problems please ask here or at the google forum. We are happy to help you. On former versions of picochess you cant use the pondering modes (that are all modes despite “normal”) together with rodent III which was a big disadvantage. Thats fixed now. Also you get lots of new personalities (i think its now over 60?). in case you play a bullet game some features namely “voice”, “confirm messages” are turned off to get a smoother play feeling. Also the sliding factor is reduced to get a quicker answer from the dgt board. Since you have to hurry up anyway, i think its okay to reduce sliding detection in advantage of quick responses. bugfix brain mode together with inside book (reported from peter). The new Stretch Version v0.9e works fine for me. Automatically update to Picochess v0.9j without any problems. Unfortunately still no tournament levels! why are y always so negative? There is no image for RaspPi cause noone did it (see last sentence). You can update in many ways – images is not the only one -but for me, the most time consuming way. I always repeated that there wont be “tournament time controls” in foreseeable future. Its alot of work to do and in general i prefer to concentrate on making already implemented features running smoothly instead of total new stuff (see: route to v1). But yes, i will implement tournament system someday(!) its great – just not these months. Frankly: As long you dont offer money, you need to be more patient – after all picochess is done in free time by volunteers. A DGT Pi costs about 250 €, for the price you expect tournament levels! I would expect y take a look for the provided features before you buy any product. Sorry, im not (working for) DGT, from this 250€ i get -rounded up- 0,00€. All these versions i did in past >2years are done cause i enjoyed to do it. I deserve the right to do features in my prio (incl. even refuse to do it). If you want feature X ask nicely (and wait patiently) or hire someone to do it for you (incl. building images). I said already, these tournament times will come, but dont expect this in next months. Thats fair to tell everyone that for this particular feature y really need to wait longer. if you complain about the DGT Pi – then you must address this to DGT and not to Jürgen. He is not in charge of supplying updates – this is a gentle Service for free. Btw: for 250€ you get a very good chess watch – and a very powerful and good chess Computer to Play with. This is remarkable. Of Course, there is always something to improve. I really enjoy the work of Jürgen and the Performance and improvement over time is outstanding. according to DGT, they are only responsible for the hardware. For the software, the programming of Picochess. Picochess Stockfish 8 v0.9j has time management errors. Time 1.30.30. Stockfish has lost through time. is 1:30:30 the start time, or the time SF8 let it run down all the way to 0? No. Stockfish 8 makes the moves regular. Need but by Move so long that the time is not enough. My DWZ 1500!? I am rather ignorant about computing (and that´s a euphemism), but I have learnt a bit now that I have bought a DGT PI for my daughter´s chess. First of all, I am most impressed by the work done here at PicoChess, so thank you. Now my question (forgive me that it is so basic): In order to upgrade from Picochess .75 as pre-installed on the DGT to .9j and higher, and with the change to Raspbian Stretch, do I only burn the image provided here for .9j, or do I need to do something with a Raspbian image separately? yes, you should download an image from this side, and from there update (if y want). Perhaps best on a NEW sd card, so if something goes wrong y still have your 0.75 version. I dont expect problems – but who knows? Just make sure y pick the correct image (pi not standard) – these images work out of the box (well, standard update is disabled). Just want to say a massive thank you for everything you guys have done. I absolutely adore picochess and its always worked so week for me. Honestly, for the price of an Rpi, you guys have completely transformed how I play and my chess has come on miles. Really appreciate the hours you must have put in for us. If DTG says they are not responsible for the software that they ship with the clock, then I am wondering why they ship any software at all with the clock…? 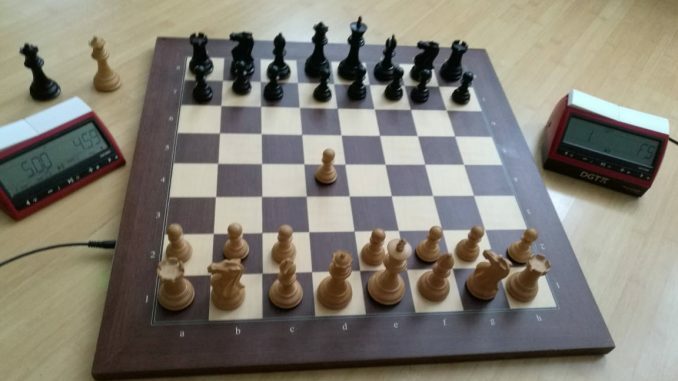 Many thanks to all who contribute to PicoChess… I will try this out shortly with my DTG board… mine is a bit old and has mostly been used connected directly to a computer, which also gives voice announcements of moves, but using Raspberry Pi will be less spaceconsuming alternative. first of all thank you for your good contributions to chess world. I’m new here and I have a couple of questions. I have an Rasperri Pi 3 + DGT 3000 Clock + DGT USB Board and Picochess v 9.0E. Is there an option to update it to get the latest version of Stokfisch 8 and Texel 1.07? On the other hand, after watching videos, and read the document Picochess 0.9 of November 21, 2017, I know that each game is saved as a PNG file and these games can be analyzed and viewed from a cell phone or a PC, the question is : How can I do it? welcome in the picochess world! You need to activate the update system using linux commands (for example “nano picochess.ini”). Are y able to login to your rasp and enter some commands? The games are saved in /opt/picochess/games/games.pgn, y can a) eMail to yr eMail-box or b) download it from there. For a) you need to edit “picochess.ini” and for b) using something like “scp”. I know that is not very detailed but for a longer help (stepByStep) y should ask at picochess forum.